Having your friends involved with your wedding can be a unique experience. As a bride, you will learn very quickly that some dress types, and colors do not fit every person. Being the responsible bride that you are, you will lay out a few guidelines for your bridesmaids as they go to purchase their dress. A few things you need to consider is hair styles, matching styles, or matching colors. You want your bridesmaids to look great, but not make you fade into the background. Choosing with your bridesmaid on their dresses is where your input is the most valuable. If you have women with any hair type, one of the first obstacles you run into is what hairstyle will look best. Are you going to have a uniform hairstyle, or leave it up to the girls? You can set a guideline like “your hair needs to be off your neck” an altogether reasonable request. An unreasonable demand is that everyone dyes their hair the same color to look exactly alike. They are not twins; they should be different. Take a good, critical look at your bridesmaids. Are they mostly thin, curvy, and how much cleavage do they have? It is imperative to note that not every body type will look the same in one type of dress. For example, a sweetheart cut is great for just about every body type, so it is a good place to start. Remember, they were invited to be a major part of your wedding, you should try to ensure they look pretty that day too. Everyone is staring at them while your back is turned to your guests. Having your bridesmaid’s dress styles match is necessary for the flow of the wedding. If it is very laid back, there may be some differences in dress styles. If it is highly structured, very traditional, your girls will look much better in matching dresses. Matching the colors of your bridesmaids is another tricky process. Not every color will flatter every girl. That being said, have a few colors in mind for them. As long as they can accent your wedding colors, it will look great. If you were to alternate the colors of the dresses that always looks stunning. Again, this comes down to how structured the wedding is. If you want a general color palette up on your stage, have them wear a similar hue to your dress (or a pop of color if you are wearing white). Or you can let them choose their color that goes with the wedding that also fits their body type. Choosing bridesmaids is hard, and their job is not easy either. On the wedding day, reward them for all their hard work by being comfortable in the dresses they are wearing. Comfort will show on their faces, and give a better vibe to the rest of your guests. Plus, if you are accommodating, you may get a better wedding present! Are you getting married soon?? If yes, then must follow these bridal make up tips, that could really enhance your overall appearance on the most special day of your life! Marriage plays a significant part in both bride and groom’s life. To make this occasion even more special, bridal makeup plays a remarkable role. To make this day the most unforgettable day of your life, it is essential to focus on each and every minute detail. This is particularly factual for your appearance. Once you’ve selected the outfit, the shoes and jewels, then all you require to concern about is your make-up. It’s time to initiate your search for opting an ideal makeup artist by first discussing it with your family and friends. For this, it’s essential that you have a trial session and initial discussion with the make-up artists to get a glimpse about their work to make sure you are entirely satisfied with how it’s going to last an impression. It is always recommended to go for a professional as they are perfect at their work and can craft the exact look you desire until you are satisfied. A wedding make-over should enhance and emphasize the natural beauty of the bride. There are loads of guidelines and tips for this, so be sure that you test them out long previous to the big day arrive. 1. A dreamy, appealing dress will necessitate soft colors and an attractive feel. 2. With a dramatic, striking dress the make-up can be supplementary dramatic with vibrant and loud colors. 3. With a usual, straightforward and stylish dress, the make over will require to be delicate and modest. 4. Choose the blush color wisely that complements your skin tone. Use it to give a soft curve to your face. 5. Lipstick color is equally important, so choose the one that matches with your skin tone and admires your dress. 6. Be careful that the wedding make-over shouldn’t be a sweeping transformation rather a delicate highlighting of natural features. 7. Avoid picking such hairstyles which necessitate hair-sprays to cling into the place, as your hairstyle needs to last long till the event ends. Apparently individual taste matters and will be the deciding aspect, but must keep in mind that you’re would be partner must be able to recognize you after the alteration. Lastly, imitate your persona. You ought to look extraordinary and stylish on your special day but not unusual. If you are quite dreamy by heart, wear mauve or coveted shades. If you are soft by heart and a fun lover, try pink and peach instead. The most awful thing that might take place is when your guest doesn’t recognize who you are on your wedding ceremony. Just enjoy your special day and have fun and also remember to apply these tips for other important occasion. Looking for couture wedding gowns? Tatiana Porembova is one of the leading wedding dress designers in London and her work spans a range of styles and influences. Based in Richmond, she creates beautiful couture wedding gowns and bridesmaids outfits to provide the perfect garments for the perfect day. It\’s the day of your wedding, and the tips and advice you received from your mother, friends, and loved ones have paid off and you look and feel beautiful. Time has been spent arranging your hair just so, making up your face perfectly, and getting you ready for your big day. Many times, however, brides just consider the big picture – and often forget how uncomfortable they may be during the ceremony or reception in a hot, heavy dress with four-inch heels. It\’s a bad scenario, but it happens. To keep you up, dancing, and mingling with your guests, here are a few of the most essential bride must-haves for your wedding day. With a little forethought and a carefully packed cocktail bag, you can be prepared for whatever the day has in store with these wedding tips! 1. Comfortable shoes: One of the most essential bride must-haves is comfortable shoes. Imagine having to dance and walk around in those four-inch heels for a few hours. Sounds painful, doesn’t it? Not buying comfortable shoes is the reason that many brides switch to flip-flops during the reception. Though a quick wardrobe change is one option, consider testing out the shoes you buy well in advance. One of the more routine wedding tips that experts suggest is to walk around your home to break the shoes in and ensure you don’t get any annoying blisters in the process. After all, squinting and wincing in your pictures will not be pretty. And if you’re insistent on those pretty, but painful four-inch heels, bring along another pair of more comfortable shoes for the after party – some simple flats will do the trick! 2. Breathable gown: Much like your shoes, one of the best bride must-haves is a wedding dress that moves with you. A constricting dress will make you cringe as much as those shoes do, and tugging and jerking the fabric will damage it, not to mention alert everyone to the fact that you’re extremely uncomfortable. Try your dress on beforehand. When trying it on at the shop, if it feels too tight, then your wedding day will be no different. Move around and get a feel for the dress to ensure that you are at ease on your big day. 3. Waterproof mascara: Oh, there will be lots of tears shed – by you, your mother, your close friends, and family. But, you’ll be heartbroken when you see your mascara making bee lines all over your face. One of my favorite wedding tips is to wear waterproof mascara to combat the ‘raccoon look.’ Wearing waterproof mascara on your wedding day will keep your makeup looking fresh, and you’ll rest assured that you have no smudges to worry about. 4. Long-lasting lipstick: From eating to kissing, your lipstick has many opportunities to fade or smear away. Before deciding on one brand or color, try it out for awhile. Wear it while doing all the things you normally do to see if it has the possibility of fading, smudging, or smearing. And make sure you pack the tube of lipstick in your ‘bride must-haves’ bag! 5. Durable antiperspirant: Whether your dress is sleeveless or not, antiperspirant that stands the test of time is an absolute necessity. You want to stay clean, fresh, and sweet-smelling throughout the ceremony and reception, and one of the many wedding tips that experts suggest is to use long-lasting antiperspirant. The only way to guarantee this, of course, is with durable and/or prescription strength deodorant/antiperspirant. This extra layer of protection will give you more confidence in whatever you’re doing. 6. Small compact mirror: Throughout the ceremony and reception, you’ll be relieved that you had your little compact mirror on hand. Tucked away in a small cocktail purse with your other bride must-haves, it’s just a little bit of added confidence. You can quickly check for makeup smudges and reapply as needed or see if any food particles have become lodged in visible places. 7. Aspirin or Ibuprofen: Headaches happen. And so do aching limbs – usually at the most inopportune times. And as far as valuable wedding tips go, be prepared by adding a little tube of aspirin or ibuprofen to your ‘bride must-haves’ cocktail purse. Even if you don’t need it, someone else just might. 8. Stain removal pen: You can find these handy, little pens everywhere. Plus, they’re small enough to be tucked into your cocktail purse filled with your other ‘bride must-haves.’ Just make sure to spot test the pen on a discreet part of your dress before applying it anywhere during the actual event. Some contain bleach, which may harm the fabric. For quick removal of a tiny, but noticeable stain, however, these pens are a god-send. 9. Hairbrush/comb: Tame those frizzies and stay beautiful throughout the day. Another of my favorite wedding tips is to purchase a fold-up brush, which is ideal for a small purse with precious space. A quick dab of lipstick and one or two brushes through your hair will have you ready to meet and greet with guests. 10. Emery board: There is nothing more annoying than a jagged nail. Keep your freshly manicured fingers looking lovely by taking a quick swipe of the emery board (or nail file) across it should one break or chip. These ten bride must-haves and wedding tips will ensure that you are prepared for your big day. Weather the day effortlessly by testing out your wardrobe, makeup, and hair in advance as well as by packing a little cocktail purse with some of the essential bride must-haves listed above, like that tube of lipstick, compact mirror, aspirin, stain removal pen, comb, and emery board. Even if you don’t need them, you’ll be glad you had them. Think of these bride must-haves and wedding tips as a little helpful layer of extra protection. 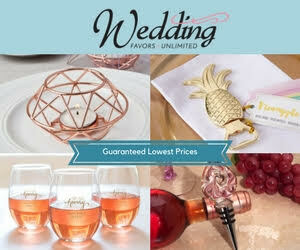 Cherie Johnson is the founder and owner of Creative Bride Wedding Favors, a one-stop shop for a large selection of baby and bridal shower, graduation, quinceañera, anniversary, and wedding favors. Cherie’s articles have been published on numerous websites including Blissfully Domestic, Dress Up Your Wedding, and Wedding Museum. Since starting Creative Bride in 2006, Cherie has helped countless couples and families make their big events a success. Prior to Creative Bride, she worked as a professional wedding photographer, capturing the most special moments of the bride and groom’s big day. The wedding day is one of the most important days in the life of a bride. On this day, every bride wants to dress up with the best hairstyles and tries to look different than other days. Beauty salons are usually full of orders on these days and most women prefer to choose a beautician and make up artist. There are various beauty salons that are located in different corners of the city. On the other hand, well known hair stylists have a wonderful time while offering tips and suggestions for different kinds of hair styles. Every girl follows special hair care routine before the big day and they try to follow the advice or suggestions that are offered by the beauty therapists. Whether it is managing frizzy hair or getting rid of extra oil in the hair, the tips suggested by beauty experts are generally followed by women who are waiting for the big day of their wedding. • Flower decorations on hair are one of the most prominent hairstyles that are sported by women. The flowers are either tied around the plait or inserted in the knot style hair. • Curls can be sported on the day of the marriage reception. • Knots are one of the most common bridal hairstyles that are sported by most brides as it allows the hair stylists to experiment with different styles. • Natural pull back hairstyle is also suitable for a bride who is tall as it compliments her hair and body structure. • Child like empress is also suitable for wedding day. • The popular buns are sported by many brides and this style suits most women irrespective of the shape of their face. Small pearl beads can be inserted over the bun to make a glittering approach. • Straightening the hair is also common and recommended by hair stylists as it portrays the natural look that looks good on the day of the wedding. The day of the wedding is special for every bride not only because she is setting out on a new journey on this day, but she gets an opportunity to wear the best make up, dress on this day. Beautification is a woman’s passion and brides portray it in the best possible manner. However, every bride should remember that the hair styles and make up sported by her on this day should suit her personality so that the objective of the hair style is fulfilled in an appropriate manner. Moreover, the hair stylist who is chosen for the occasion of wedding should be able to understand the style that suits a bride without following the trends blindly. There are many stylists who are familiar with a variety of modern and common trends of hairstyle, but not aware of the ways in which they should be applied. Bridal hairstyle also depends on the length of hair. For instance, for those brides with short hair the hair stylists prefer to use hair extensions particularly if the bride is tall. On the other hand, brides of medium length hair will have the opportunity to sport the largest range of hair style. Lastly, a bride with long hair will have benefits of tying different kind of buns only if the hair is thick ; otherwise a hairstylist can choose to curl the limp ends of thin hair and leave it open on the day of wedding. Bridal hairstyle also depends on the length of hair. For instance, for those brides with short hair the hair stylists prefer to use hair extensions particularly if the bride is tall. On the other hand, brides of medium length hair will have the opportunity to sport the largest range of hair style. Selecting perfect wedding hairstyles are one of the most worried tasks while planning for wedding. Everyone tries to look their best on the wedding day. Especially brides need to pick the best wedding hairstyles as she is the center of attraction on that special day. As it is the most important day of her life, it needs a perfect plan in every aspect. The wedding hairstyles not only match with your personality, but also match with wedding gowns, veil, wedding shoes, wedding colors, and the last thing is the ambience of the wedding. Although when choosing the right style for yourself, this can be easy since nobody knows yourself better, but you. And only you can decide with a few help and advice from your hairstylist, about the style you want to do with your hair. Professional hairstylists can give you the help you will need especially if you have a lot of things on your mind. They can easily select on what will be the next step or decision when it comes to your hair. Will you be in need of a shorter hairstyle, have a particular hairdo with hair treatment, coloration, and even use hair extension? Professional hairstylists can help you with that. You can also do your own research on what you want to do with your hair. One more factor while considering wedding hairstyles is your hair type, your wedding dress, the type of wedding veil you are going to wear, your jewelry and how your better half will be wearing their hair. Search the web or look at some bridal magazines for possible hairdos of your choice. It will still be your decision if you want to do your hair up, down, curled, or straight. You can view some wedding dresses online shops, there are many models on the them, you can treat those hairstyles as a reference. Even if you do not have any idea on what you want to do with your hair, but if you plan early, months before the wedding, then you can easily find what you are looking for. You will still have plenty of time to experiment. A Wedding is one of the most memorable events for anybody’s life especially for brides. With brides like Snow White and Cinderella as role models, brides’ expectations become high. Hence, brides try to look and feel amazing in their memorable occasion i.e. wedding. A professional bridal makeup artist is required to add the dazzle and elegance of bridal hair, face and skin on their wedding events. It is important that the hair and makeup should not compete with the bride’s dress rather than the hair and makeup should complement the dress. Bridal hair and makeup should be simple as well as elegant. At the same time, makeup artists should know the brides expectations as per their specific needs & requirements. It is required for makeup artists to know that the bride will want to feel comfortable and not confined by their hair and makeup. It means, a makeup artist needs to keep makeup simple, not vibrant. In such cases, you should not do experiment with the new styles as far as bridal hair and makeup is concerned. A bride never want to feel self-conscious of her new look. They will want everybody to notice her beauty today and for years that follow in various photographs. In this modern era, bridal makeup is subtle and soft and its effect is fabulous and less harsh. Bridal makeup trends are romantic and soft to complement the hair and the latest trends in bridal gowns and bridal hair. In recent times, brides want to glow with elegance as today’s bridal makeup is more natural and radiant. • Usually, it’s difficult for a bride to express their feelings in words the look she is going for. Hence, you should have a portfolio that contains large selection of pictures for bridal makeup. • It’s also good idea to see some of the makeup products that are used by bridals. This gives you a overview as to what the bride is accustomed to wear. • You should also setup consultation for bridal makeup a few weeks ahead of wedding event. This consultation includes the time and day the wedding will take place, dress styles, flowers, colors, bridal hair style and color, eye color and their personality. • You should also discuss with the bride about various bridal hair and makeup trends and choose the best one that is well suited for her. If you’re considering becoming a makeup artist, or already are one but want to get your hands on the skills and techniques you need to becoming even better, I would highly recommend going to a hands on training seminar like the Hollywood Beauty Event. Wedding is the biggest day in life of every individual. Everyone wishes to look outstanding and be the center of attention on this special day. The article discusses the best makeup ideas for the bride. The center of attention in any marriage is the bride. Hence, it is important for you to look beautiful on this special day. For this you should apply proper makeup that will enhance your beauty. There are many professionals and beauty parlors available for giving perfect look to the bride according to the latest trends. With the expert beautician, number of cosmetic items, costumes, and beauty concepts, you can get the adorable look that you will always remember. Makeup can make you look beautiful for some time, but if you want to get prepared for your marriage, it is important to follow the beauty tips 2-3 months prior to your marriage. The first thing you should take care about is your skin. You should follow the skin care regime of cleansing, toning, exfoliating, moisturizing, etc. Get the facial done every week. Sleep for sufficient time, include green vegetables in your diet, and exercise regularly. You wedding is the joyous occasion. The best makeup ideas will provide you the adorable looks. I am professional makeup artist vivek Raj. For more tricks on Makeup ideas come with your valuable suggestions. One of the most blessed and an important day in the life of a woman is undoubtedly the day of your wedding. Wants to look perfect on her wedding day. Adequate preparation and makeup can do the trick for the bride is the most beautiful woman on her wedding day. There are hundreds of bridal makeup tips that can be used on a wedding. But there are some that are popular and widely used. These are the essential tips you need to have in mind for a wedding makeup, these include the application of the cream and powder foundation, use concealer, eyeliner, eye shadow, the base of the eyelid, and the use of lipstick. The proper implementation of all these cosmetics can make the bride look beautiful and amazing. While using a cream base to keep in mind that should match the color of the skin easily. A very bright color or too light can do the trick fails. Be sure to apply the cream on the skin of the arm to see if it matches the color of the skin. Once you have the proper background color, facial skin clean with a damp paper towel to remove dust particles. Now dab the base, avoid hard scrubbing, because you can damage the skin. Apply powder or cream base ensures the uniformity and smoothness of cosmetic facial skin. Use a concealer to hide dark spots and pimples. Avoid applying too much concealer in the same place as it can make that part of the skin to become more prominent. It is also preferable to use the same shade of concealer that used in the base. This will help to better mix and the corrective function more efficiently. Use clear eyeliner is better than a bold color if the dress is light colored. Use a liquid eyeliner because it helps the eyes to become more prominent. The use of light color as the basis of the eyelid is important if the base is clear as it helps to blend better with the skin tone and provide a more prominent skin. The use of lipstick and gloss to match the dress creates a more perfect appearance. A red lipstick is especially preferred if the wedding dress is white. You must combine the dress with the lipstick color to wear on a more elegant and surprising. All bridal makeup tips provided above can make brides look like princesses. Beauty facial care for foundation, eye shadow, cosmetics and how to natural skin product and visit http://www.getallabout.com/beauty-tips/ for Bridal Makeup Tips and Tricks. When it comes to looking stunning on your wedding day, wearing one of the most stunning bespoke bridal gowns is only a fraction of the equation. On that important day of your life, all eyes are on you. This means aside from ensuring all the fine details of your wedding are taken care of, you also need to pay attention to your beauty regimen several weeks leading up to your special day. • Let’s start with a few basics. In order to effortlessly exude beauty, it is important that you feel good about yourself. Use your time wisely in incorporating a regular fitness and beauty regimen between the time of your engagement and wedding. Adhere to an effective yet simple beauty schedule, take time to exercise, pay attention to what you eat and generally adapt a healthy lifestyle. • Avoid experimenting. The several days leading up to the big day are definitely not a good time to make any drastic changes or experiment. Do not give in to the temptation of trying out a new hair colour or cut. Any serious changes should be done months in advance so you still have ample time to undo anything, if there is a need to do so. Keep in mind that your wedding day is definitely not the ideal time for you to reinvent your look. If you want to wow and surprise everyone, keep your look safe and focus on investing on one of those bespoke bridal gowns that can add that oomph factor. • Conduct several consultations with your hairdresser. Take time to discuss with your hairdresser what would be the most ideal and flattering hairstyle for you, taking into account not only your face shape but also the type of wedding veil and the cut of the gown. Schedule that appointment at the beauty salon and work on the different hairdo options. If you are planning to remove your headpiece during the reception or you want flowers weaved into your hair, communicate that plan to your hairdresser so you both can agree on the best hairstyle that can incorporate these ideas. Aside from your face, you also need to pay attention to your hands. It goes without saying that those chipped nails and ragged cuticles can look very unappealing and can easily run the look, even if you are wearing one of the most expensive bespoke bridal gowns. • Prevent those puffy eyes. With the string of events leading to the big day such as the rehearsal dinner and bridal showers, one of the most common problems among brides is puffy eyes. Take necessary measures to reduce any puffiness by splashing your face with ice-cold water for at least 25 minutes before you put on an eye mask. To achieve inner radiance on your wedding day, focus on staying calm. If you need to deal with frazzled nerves, get a relaxing massage. Allow your inner glow to shine through by making sure you don’t get lost in the preparation and miss out on the significance of the actual event. Looking for couture wedding gowns? Tatiana Porembova is one of the leading designers of bespoke bridal gowns in London and her work spans a range of styles and influences. Based in Richmond, she creates beautiful bespoke bridal gowns and bridesmaids outfits to provide the perfect garments for the perfect day.